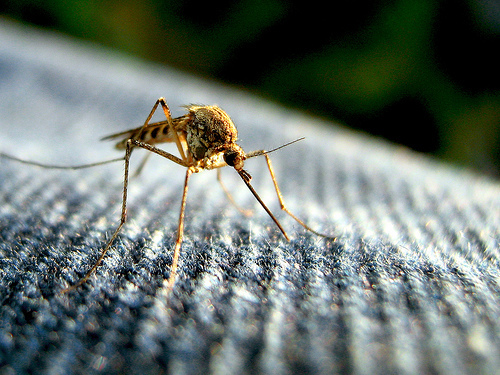 Home Costs > How Much Does a Mosquito Misting System Cost? How Much Does a Mosquito Misting System Cost? A mosquito misting system allows a homeowner to use their yard without having to worry about mosquitoes. No matter how large the yard may be, the mosquito misting system can make it more comfortable as it can keep the mosquitoes away from your pool area, outdoor dining area, outdoor kitchen, or outdoor fire pit. The misting system uses pesticides, such as Permethrin, Pyrethrins, Piperonyl butoxide, which are sprayed out of a machine in the form of a mist through nozzles located within the yard. On average, a mosquito misting system is going to retail for $500 to as much as $1,500 if you were to buy the supplies at the store and do the installation on your own. The price will be determined by the manufacturer, the square footage that can be covered by the machine, the number of nozzles, and the features the system offers. On Avancesources.com, they sell a do-it-yourself mosquito and fly control misting system for $625, for example. The automatic mosquito misting system with a barn fly spray system and deluxe digital control retails for $685. Various mosquito misting systems on Amazon.com retail for close to $1,500 for a 55-gallon automated do it yourself system. This 12-gallon misting system on Home Depot retails for $500. If you wanted to have an expert install a complete working system in your backyard, then it’s best to budget $2,500 to $5,000 for a standard system. This will depend on the number of nozzles required, the size of the yard and the dealer you’re using. Since all jobs can be unique, consider getting multiple quotes from multiple licensed contractors in your area from HomeAdvisor.com. Mistaway.com says you should be prepared to spend $2,500 to $4,500 for a professional system. Usually, the mosquito misting system includes an installation guide, which will help you with the process of setting up the system. There are companies that also offer free assistance with the installation of the mosquito misting system. Most machines will come with a limited warranty that can last anywhere from one to five years. This will greatly depend on the brand. A mosquito misting system can be placed in any area where you want to control the mosquitoes and other pests. Similar to a cordless fan, the mister will spray back and forth, filling the air with a mist of pesticide. The average mister can cover up to 2,000 to 5,000 square feet. There are drum misters, which is a mister where the regulating machine sits atop a drum that is filled with the pesticide. The pesticide contained in the drum will be pre-mixed and will be pumped out at a constant rate. A tankless mister is smaller and uses a replaceable canister containing the pesticide. This pesticide is not mixed until activated and can be regulated much more easily. Nozzles, when installed, should be spaced about 10 to 15 feet apart to maximize the effectiveness. The machine, regardless of the type you choose, will use an electronic controller that allows you to set the misting times, similar to a sprinkler system. The mist, when misting, will only need to be on for up to 60 seconds and experts recommend running it either early in the morning or late at night when no pets or people are around. Higher tech models even allow you to control your system from your smartphone. You also need to purchase a pesticide misting system concentrate to successfully run the system, which is usually a synergized pyrethrin concentrate. Like any pesticide, plan on refilling it every time it runs out. You also need to consider chemical resistant gloves to protect your skin from harmful effects of the pesticide when you are changing the pesticide and cleaning the machine. Know the size system you need for your property so it will work effectively. Ideally, a typical backyard may need around 30 to 50 nozzles. If possible, use a natural insecticide like pyrethrum. Pyrethrum comes from the African Daisy. Also, with a natural insecticide, you will not end up with greasy windows, patios and benches. When choosing a professional to install a machine, the EPA recommends using someone who complies with the state’s licenses, certifications, and registration requirements. What kind of pesticide should I use for the mosquito misting system? How long does the misting takes? How long do the effects last? Could the mosquito misting system be used inside the house? Does your company offer free maintenance for the mosquito misting system? What kind of maintenance does it need? What types of bugs and insects does the mosquito misting system kill? Do you offer a system warranty? How often does the system need refilling? Before buying the first mosquito misting system you see, compare a few companies to see the prices they offer. You might end up with a cheaper deal after doing some research. If you only need to control a smaller area such as a porch, consider cheaper options such as candles or small mister lanterns. If you are only going to use the misting system every once in a while, do not spend the extra money on a programmable system.